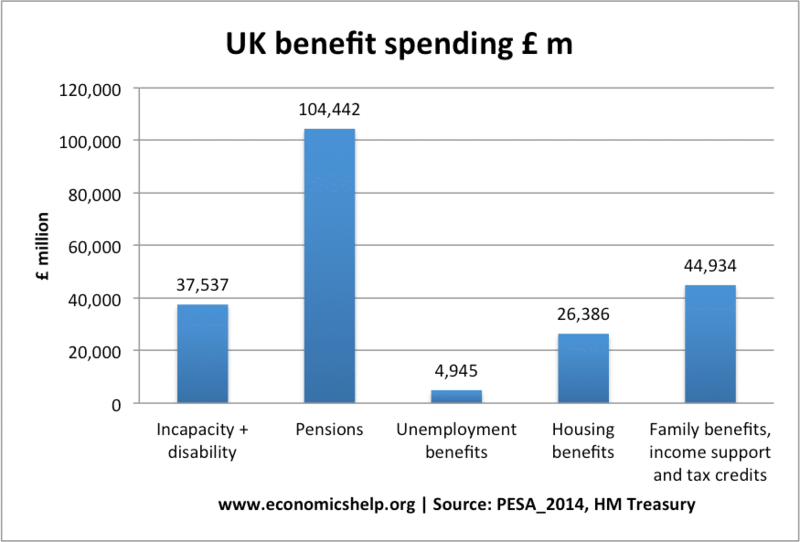 A quick look at benefit spending in the UK. This is a follow up to Social security spending. Thanks to HM Treasury for help in finding useful data set. Firstly, there has been a modification to the category of government spending, now labelled – ‘Social protection spending’ – See: Social protection spending. 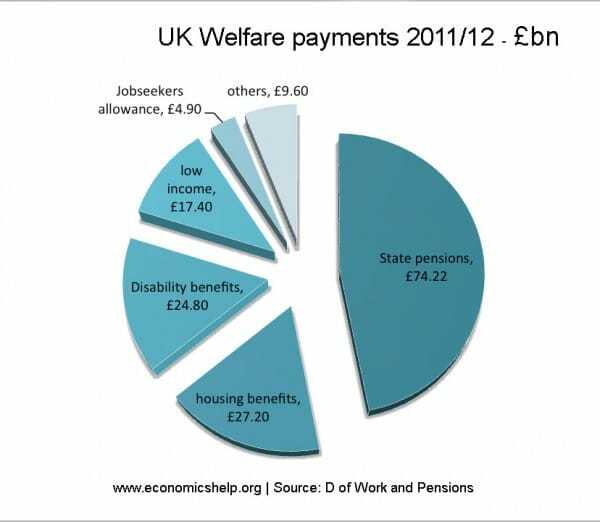 This is not just welfare benefits. It includes personal social services, e.g paying for nursing, care in the community; (spending which could perhaps be better included with health care). 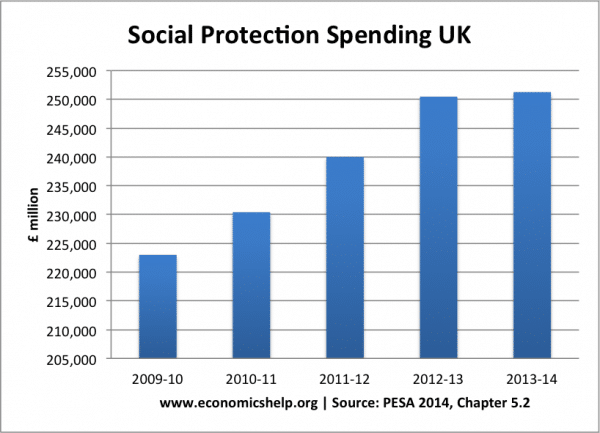 Secondly, by far the biggest level of social protection spending is pension spending. This includes both state pension payments and (I believe) state occupational pensions to retired public sector workers. It is a very unwieldy sub-division of government spending, but if we look at whole budget it increased significantly during the great recession 2009-2013. This is partly due to the cyclical higher welfare payments expected during a period of unemployment and low income growth. However, on closer examination, by far the biggest increase in spending from the social security budget is from pensions. 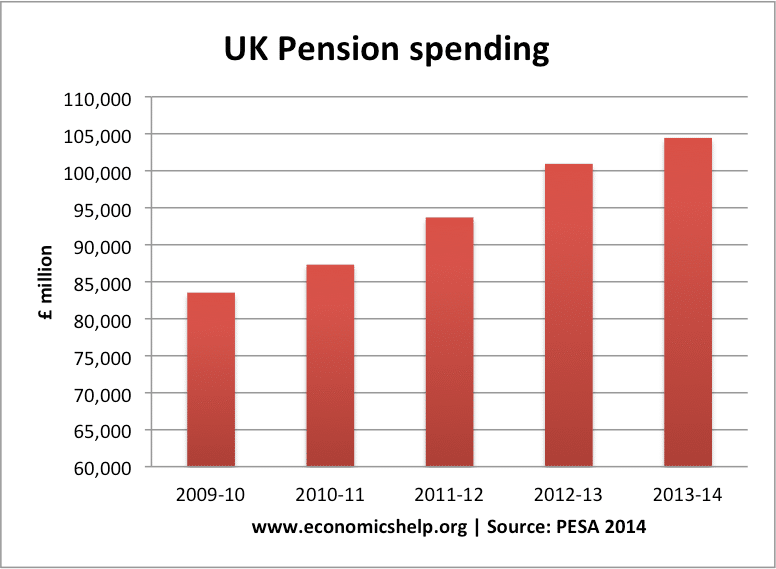 Pension spending increased from £83bn in 2009/10 to £104.4 bn in 2013/14. An increase of £21 bn. 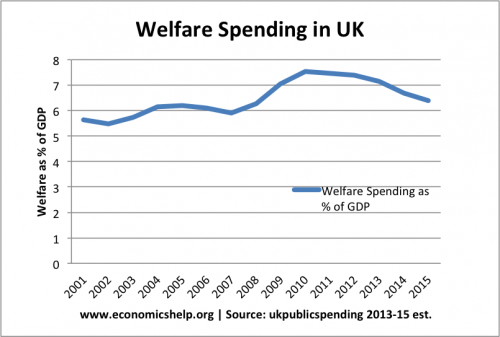 In a period of so called austerity, that is a big increase in government spending. Incapacity, disability and injury benefits. Housing – I assume this is mainly housing benefit and rent rebate, though it doesn’t explicitly say. Family benefits, income support and tax credit. The HM Treasury actually split ‘income support benefits’ into two different groups. I’m not entirely sure of the distinction. It doesn’t seem the most helpful breakdown of where the benefits actually go. 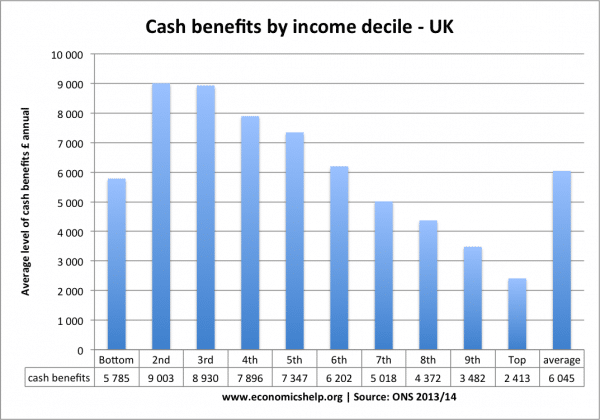 The poorest 10% receive less pensions (suggesting the poorest 10% less likely to be over 65), but of working age. The best definition of welfare spending would exclude universal state pensions and state occupational payments. It would also exclude the social personal services – which are not benefits but an extension of health care / social care. You have to work hard to unpick government statistics. 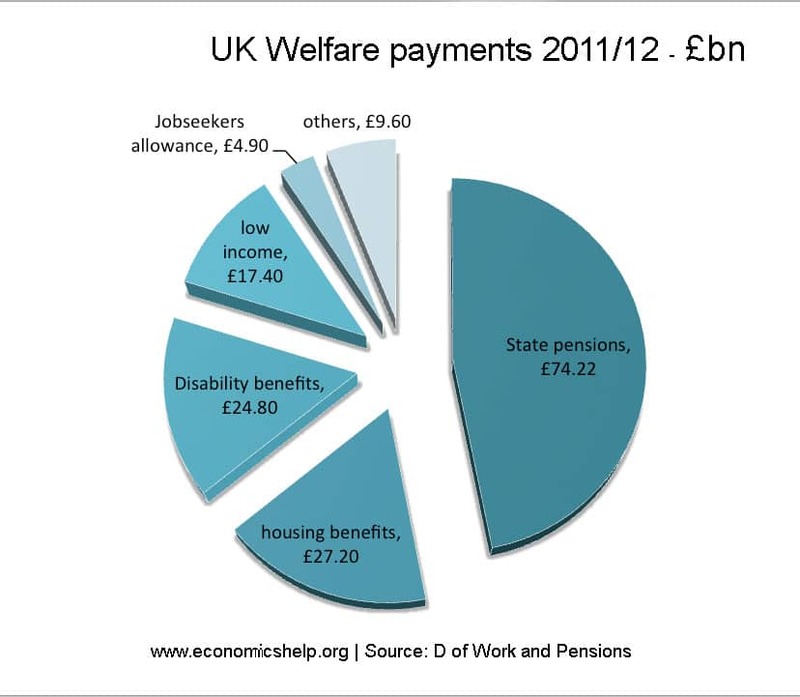 Given the political interest around welfare benefits. 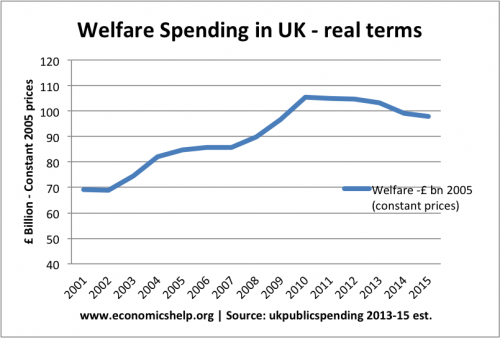 I would like to see clearer statistics making easier to find spending on the different types of welfare payments. Also, we learn the biggest strain on government spending in the past few years is not coming from unemployment benefits and income support – but state pensions. 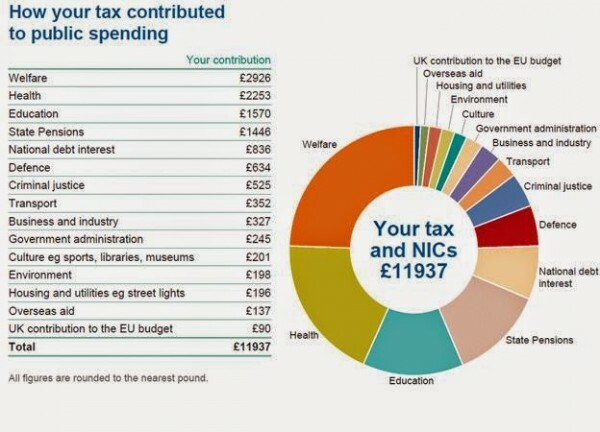 What does the government spend its money on? This entry was posted in economics and tagged government, welfare. Bookmark the permalink. 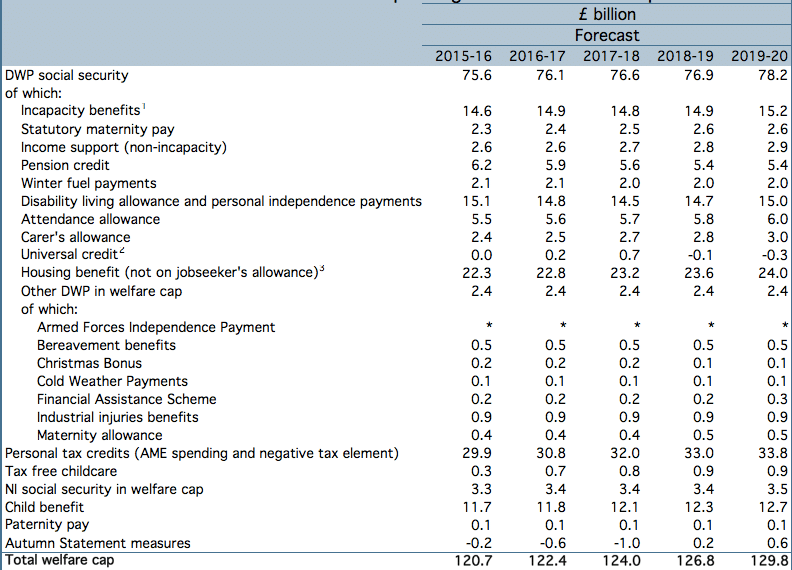 I could be wrong but I thought the pensions slice of welfare spending in Source D (DWP) is for specifically public sector pensions like police, nurses, and other civil servants etc… it’s not OAP type state pensions. I believe that’s in another part of the budget (https://www.economicshelp.org/wp-content/uploads/2014/11/UK-Spending-breakdown-600×432.jpg). Not your error just another way it’s misrepresented by the graphics.